Bethany practices primarily in the area of Long Term Care, Estate Planning & Probate and Medicaid Revenue Recovery. 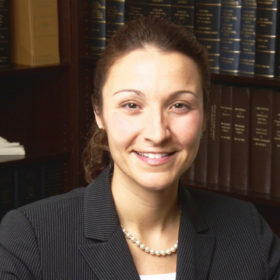 Prior to joining the firm in 2007, Bethany served as a judicial intern for the Honorable William I. Garfinkel, Magistrate Judge for the District Court of Connecticut. In addition to being an attorney, she owns and operates The Dance Center of Old Lyme.